Q: Could you provide our readers with a brief introduction to Carbyne? 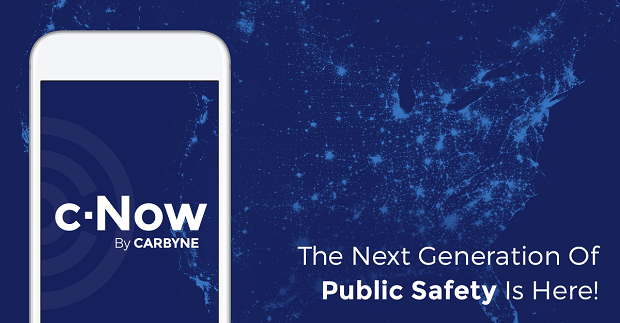 A: Carbyne is a global leader in public safety technology. Our Next Generation 911 call handling platform sits on a global infrastructure and is supported by a powerful ecosystem which delivers advanced IP-enabled communication features, and state of the art caller solutions. Right now, public safety organizations around the world are using outdated technology that has not been updated in over 20 years. and are poorly built for smartphones and the digital age. We are delivering the future. By providing rich, accurate, insightful data from any connected device to Public Safety Answering Points (PSAPs), we’re able to provide call takers with accurate pinpointed location within 20 feet, live video streaming, text and chat capabilities and much more. Our agile development processes mean that we are constantly improving, helping PSAPs slash time to dispatch, reduce operational costs and ultimately saving lives. Q: You have recently raised $15M, could you tell us more about your latest funding round? A: It is very exciting. Our investors have recognized our success to date and what the future holds. 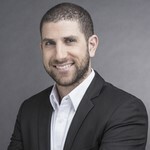 Before the Series B round, we already had valuable investors on board with Ehud Barack, Michael Chertoff and the Kraft Group. But adding in Founders Fund, being the first Israeli company in their portfolio – which includes Uber, Airbnb, Lyft, SpaceX and a number of other disruptive startups – is a fantastic validation of the work we have done and the team we have assembled. A: In truth, the biggest challenge has been painting a vision of the future for clients who have had to accept sub-par solutions for decades. I am talking to clients about having location within 20 feet for every call, video in their PSAP, having a wealth of data at the fingertips of call-takers, and today that is a quantum leap forward. We have developed light versions of our solution that clients can use as a plugin so they can see and feel what the future can look like. They can’t believe that the things we are doing today are feasible, they have been told by their vendors that the capabilities we currently provide are 3-4 years away at best. Q: How do you detect a fake event? A: We do this using video, our ability to provide location within 20 feet and the 911 call-taker’s intuition. Someone who is looking to make a prank call, or a malevolent call to 911 generally assumes that they won’t be caught and that they won’t have to show proof of the event. By having the option to validate the situation with live video, and being able to tell a caller EXACTLY where they are, a call-taker can ensure which calls are genuine. Q: What are your plans for next six months? A: Right now our focus is on implementing our platform seamlessly for all of the new clients who have come on board in the last few months. We are introducing call takers to an exciting future for 911, which can be scary for them. We have a number of new partners we expect to be coming on board in the next six months, some exciting product news and new client announcements!